There is no limit to what technology can do. Short of murdering someone, you can actually eliminate a person’s existence from your contact. 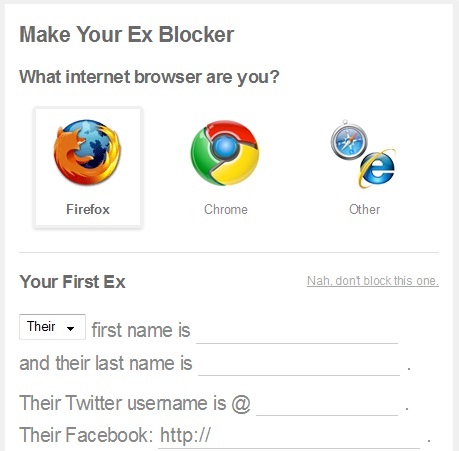 Ex-Blocker, as its name implies, is a plug-in for Chrome and Firefox that allows users to filter names they do not wish to get in touch with in Twitter, Facebook, and Google search results. All users need to do is to key in the first and last name of the person, the Facebook profile link, blog URL, or Twitter handle to Ex-Blocker after downloading and installing the plug-in. This will ensure that the links to the person’s Internet activities are blocked and you can avoid seeing them online.